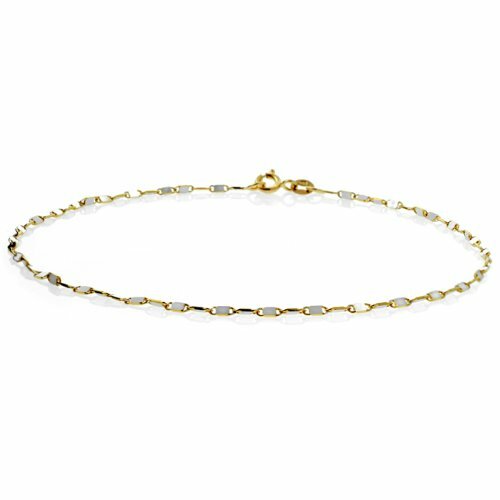 You are here: Home Soap Jewelry 14K Two Tone Soap Chain Anklet 9.5"
This beautiful anklet is crafted from 14K yellow and white gold in a soap chain or ID tag link design. It has a beautiful look that you have to see to believe. Clasp this stunning bracelet with its spring ring clasp for extra security.